Susan Ginsberg, the founder of Stop and Breathe®, a valuable relaxation and stress-reduction program that focuses on breath guidance, relaxation support and visualization skills joins eHealth Radio and the Stress Management Channel. What is Stop and Breathe? How does it help the patient? Why do you say that many people breathe incorrectly? What is one tip that you can tell people in order to relax when they are stressed? Susan Ginsberg has developed a program called Stop and Breathe®, providing people with a healthy way to find comfort and relaxation during stressful moments in their lives. After 10 years of teaching yoga and meditation, Susan was inspired by one of her yoga students who was diagnosed with breast cancer. After working with her while she was receiving cancer treatments and surgery, Susan knew that she wanted to help others going through medical difficulties and help them find comfort and inner peace during their turbulent and stressful times. In 2007, following her yoga teachings and helping others cope with pain and stress, she founded Stop and Breathe®, a valuable relaxation and stress-reduction program that focuses on breath guidance, relaxation support and visualization skills. Susan first implemented Stop and Breathe at local hospitals and cancer centers. After seeing the benefits of the Stop and Breathe program and the respect and support it garnered from nurses, patients and administrators, Susan realized the same techniques that can minimize pain and discomfort and help an individual find a state of relaxation, can be helpful in other settings as well, so she began branching out to businesses and organizations to teach this valuable program. Continual stress can be linked to headaches, upset stomachs, back pain, and sleeping problems, as well as weakening the immune system, making it harder for the body to fight off disease. 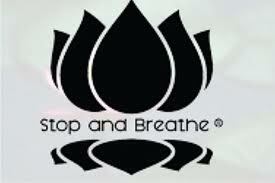 Chronic pain and headaches can also be debilitating to an individual, so learning and practicing these Stop and Breathe® techniques can have an immediate yet lasting benefit that will provide a lifelong tool to combat this and any other future form of pain or stress, so as to lead a more healthful life. Susan is a certified educator from the University of Illinois and a certified yoga teacher through Yoga Alliance (E-RYT-200), a prestigious association of yoga instructors with intensive, comprehensive training. Karen Giblin, a foremost authority on menopausal health & President and Founder of Red Hot Mamas joins eHealth Radio and the Female Health Channel. Red Hot Mamas is the nation's largest menopause education program providing mid-life women's health information and support which began in 1991. September is Menopause Awareness Month, but what exactly is menopause and why should listeners raise awareness? What is perimenopause? What is induced menopause? Can you tell us a little about hormone therapy? What are some of the side effects and symptoms of menopause? What exactly is a hot flash? What are some tips for combating hot flashes? Are there any supplements available that can help with hot flashes? Where can listeners go to get more information about menopause and its solutions? Karen Giblin is a foremost authority on menopausal health. She is President and Founder of Red Hot Mamas, the nation's largest menopause education program providing mid-life women's health information and support which began in 1991. Red Hot Mamas programs are offered through hospitals and physician practices in the US and Canada. Directed by Giblin, the Red Hot Mamas award-winning website, www.redhotmamas.org, is highly accredited and provides up-to-date information to help women take charge of their menopause. She is Editor-in Chief of the Red Hot Mamas monthly E-newsletter, The Menopause Minute. The website and newsletter dispense the latest news on menopause health, medical research, strategies and approaches to guide women through menopause, treatment options, and offers tips on how to make smarter lifestyle choices to live long, healthy lives at menopause and beyond. Giblin is a frequently quoted source whose insights have appeared in national media and press including The Wall Street Journal, Chicago Tribune, Reuters News, LA Times, LA Daily News, Newsday, MSNBC, Web MD, Fortune, Family Circle, Good Housekeeping, Women's Day, Time, Harper’s Bazaar, Living Fit, Pink, Reader's Digest's New Choices, magazines and other publications. She has appeared on Good Morning America, The Today Show, CNN News, CBS, NBC, Fox TV, Better TV, QVC and other media outlets. Giblin is co-author of "Eat to Defeat Menopause" (De Capo Publishing, 2011) and "The Manual of Management Counseling for the Perimenopausal and Menopausal Patient" (Parthenon-CRC Press, 2004). In addition, she has been the lead investigator and presenter of numerous research projects on women’s health. She is a member of the International Menopause Society and addressed their "First Global Summit on Menopause" in Zurich, Switzerland about "Women's Perceptions of Hormone Therapy Post WHI". She is also a member of The North American Menopause Society and former producer and host of “Health Watch” – a radio program dedicated to health issues. She also served three terms as Selectman, Town of Ridgefield, CT, and was the recipient of the 1995 Elizabeth Blackwell Award/Feminist Leadership Award, from the National Organization of Women. 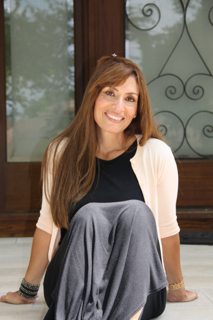 Joy Harari, an AADP certified Health Coach, Psychology of Eating Coach joins eHealth Radio and the Health & Nutrition Channel. She is a graduate of The Institute of Integrative Nutrition and The Institute for the Psychology of Eating, as well as a certified EFT (Tapping) Coach. I see you are a Health Coach, a Psychology of Eating Coach, and an EFT Practitioner. How do you integrate those things into your practice? How does your life experiences help you with your Health Coaching? What goals do you have for yourself and your practice at this time. What Advice do you have for people listening? What is your best nutritional tip? 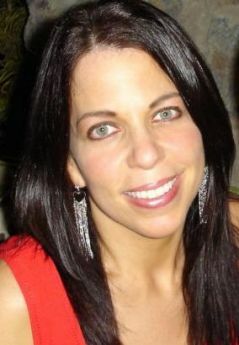 Joy Harari is a AADP certified Health Coach, a Psychology of Eating Specialist, and an EFT Practitioner. She addresses many health and emotional issues with VIP clients and sends out a weekly Newsletter to teach and inspire good health in others. She will soon be starting classes on Learnitlive.com on many areas of her expertise. Joy was recently interviewed as one of AnnMarie Gianni's "Beautiful Voices". She also gives many workshops on all areas of healthy living such as What Should I Eat?, Healthy Snacks for Kids, and Home Remedies. Joy is like Sophia Loren, Julia Childs, Ralph Lauren, and Lucille Ball all rolled into one crazy woman who is passionate about health and wellness. See her at joyharari.com. Sherry Granader a Nutritionist, Nationally Certified Fitness Instructor and Personal Trainer in Pilates, Yoga, Body Pump, STEP and Aerobics with over 20 years experience discusses among other matters how dieting hurts your health on eHealth Radio and the Fitness & Nutrition Channel. You say, “Dieting hurts your health.” What are some of the biggest mistakes people make when trying to lose weight? What is the ONE success strategy you can share with our listeners that will help them lose weight? What happens in the body when you drink a Cola or a soft drink? You are a big fan of supplements. What are some of the key supplements that can make a difference in people’s health and life? How do you help your clients stay motivated with their weight loss programs? Sherry is a Nutritionist, Writer, National Speaker, Ghostwriter of books for Natural Medicine Doctors and Clinical Nutritionists and an Author of 2 healthy cookbooks. She is a Nationally Certified Fitness Instructor and Personal Trainer in Pilates, Yoga, Body Pump, STEP and Aerobics with over 20 years experience. She served as the On-Air Nutritionist for QVC television in the United States and the UK and hosted her own weekly “Healthy Living” segments for PBS. 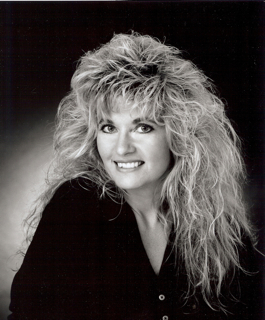 For more information on Sherry, visit www.sgtotalhealth.com or write to Sherry at sgfit12@aol.com - call 517.899.1451. Matt Aaron, founder of Mama Camu, an Amazon superfruit from the Peruvian for sale on Amazon.com joins eHealth Radio and the Health & Nutrition Channel. 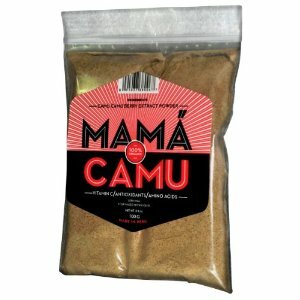 What is Mama Camu exactly? What is the history behind the Camu Camu berry? Kiva loans, why donate 10% of profits to Kiva? What is the plan for the future of Mama Camu? 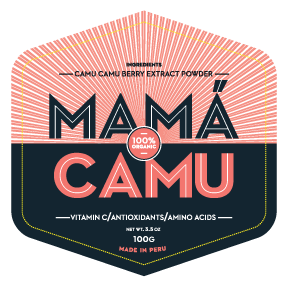 Mama Camu is a an powder extract of one of the most incredible fruits on earth: Camu Camu. Due to the fruit, which has the highest quantity of vitamin C in the world, and the spray dried extract process, Mama Camu offers at least 100x the vitamin C quantity of a Florida orange. It also contains phytochemicals, bioflavonoids, amino acids, beta-carotene and potassium. Benefits include cold/flu prevention, healthy skin, anti-oxidation, and anti-inflammation. Great for anyone looking for a natural vitamin C, athletes, or those that are experiencing joint pain. 10% of profits are donated to Kiva, where micro-finance loans are made to entrepreneurs in Colombia in Peru. Read about our Kiva project, independent Camu Camu research, and more at www.mamacamu.com. I understand you have a book soon to be published called “Breaking Diet Plateaus”. Can you tell us a little about that. What are three of the plateaus you have identified? You speak of the benefits of staying overweight. Tell us what you mean by that. The subtitle of your book is “Changing The patterns that Sabotage Weight Loss” How does a person change these patterns? What are the positive skills a person needs to stay at a healthy weight? Having studied the inner workings of the mind since the sixties, she has trained under some of the premier mind masters alive today; Richard Bandler, John Grinder, Judith DeLozier, Robert Dilts, Patrick Porter, and many others. She especially treasures having received a personal blessing from Mother Teresa shortly before her passing. No stranger to the media, her work has been the subject of numerous newspaper articles and radio and TV interviews. 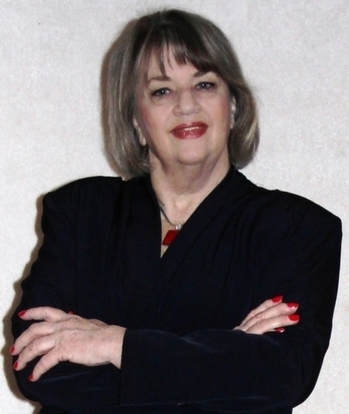 Sylvia’s contributions to the fields of NLP and hypnosis include nine published articles and she was the recipient of the 2001 Positive Changes Hypnosis Porter Award. Known for her ability to facilitate rapid change in clients, she now offers both local and long-distance hypnosis and coaching programs and is available to clients world -wide. In addition to Hypnosis and NLP trainings, one of her most popular programs is, “Take the Money and Run – Your Life!” This is an interactive workshop where participants learn to identify and transform limiting beliefs, and to become attractors of success in whatever form they define it. To learn more about Sylvia Runkle and how you, too can access “more than you dreamed” or sponsor a training in your area, visit www.sylviarunkle.com or call 309-716-2111. The topic today is Addiction and Relapse Prevention with September being National Recovery Month. On this episode of eHealth Radio and the Mental Health Channel, we have Behavioral health expert Ben Brafman, the founder and CEO of Destination Hope, a full-service mental health and substance abuse treatment facility located in Fort Lauderdale, FL with gender specific treatment. Prescription drug abuse is the latest epidemic in the war against drugs. How prevalent is prescription drug abuse? What are the most commonly abused drugs? Can you tell us a little about who is affected and what is going on in America today? Communities, governments, law enforcement, the medical community and drug manufacturers have all banded together to try to stop the epidemic. They've reformulated certain drugs, arranged drop-off locations for unused prescription drugs and started education campaigns. What has been the effect of all of this? Is it working? Ben, you work in addiction treatment and recovery. How many people are seeking help for prescription drug abuse? How do they seek treatment? What type of treatment is available and is it effective? Relapse is obviously the largest concern for someone who has suffered from prescription drug abuse. Do you have any relapse prevention advice for individuals in recovery? Ben Brafman, LMHC, CAP, is the Clinical Director, President and CEO of Destination Hope, a nationally recognized substance abuse and dual diagnosis treatment facility in Fort Lauderdale, Florida. With more than two decades of hands-on experience in the field of substance abuse and addiction, Ben is a leading authority on substance abuse, addiction and treatment protocols. A licensed behavioral health counselor and certified addition professional, Ben has grown into an industry expert, educating both healthcare and public audiences on issues in the field of addiction. In 2007, Ben founded Destination Hope, a new model in full service addiction recovery. Combining his experience as an addiction tech, behavioral health counselor and clinical director, Ben developed treatment protocols that focused on individualized treatment, versus an all in one approach. His unique approach, to treat an individual as a whole instead of a set of symptoms by addressing the psychological, physical and emotional issues related to substance abuse set a new standard in addiction treatment. Destination Hope was an immediate success, and today has expanded into multiple treatment programs. To date, under the leadership of Ben Brafman, Destination Hope has successfully helped hundreds of individuals from across the country navigate a path to sobriety. A combination of dedicated behavioral health counselors and truly unique care has made the Destination Hope’s program one of the most noted drug rehab programs in the country. Ben has experience serving clients and leading therapy programs at a variety of residential, clinical and outpatient behavioral health programs. Ben is a Member of the Mental Health Association, the Broward County Task Force on Drugs and Alcohol and a member of the Dual Diagnosis Association. He is a nationally certified counselor, a certified addiction professional, a licensed mental health counselor and an anger management specialist. 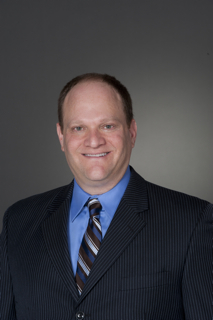 Ben has served as an expert witness in DUI/drug cases. Ben regularly writes and leads workshops on substance abuse and addiction, mental health and treatment protocols for private companies as well as professional trade organizations. For more information on his speaking schedule or past events, please visit Ben’s Drug Abuse and Addiction Newsroom. Recognizing a need to elevate the continuing professional education of addiction professionals and behavioral health counselors like himself, Ben founded the Academy for Addiction Professionals. An education and professional licensing facility dedicated to professional advancement, the Academy provides industry certifications as well as ongoing education for addiction professionals. Ben is also the founder of a non-profit organization to help those who cannot pay for substance abuse and addiction treatment, RxAngels. RxAngels helps subsidize medication for those that cannot afford prescription treatment for mental illness and substance abuse disorders. As a behavioral health counselor, Ben is dedicated to helping those beyond the treatment facility. He is an active volunteer with Community Friends Association, and co-founder of Southern Lights A.I.D.S. project. Ben has been awarded community service commendations from the Salvation Army – 1990’s Community Service Person of the Year and the Spirit of the Community Award in 2000. Ben Brafman holds a BA from Syracuse University and a MA from Barry University in Mental Health Counseling and Family Therapy. He and his wife live in Fort Lauderdale, Florida with their three wonderful children. He has completed three marathons and is training for a triathlon. World Famous Hypnotist and Internationally known best-selling Author of books "Hypnotic Scripts that Work" John Cerbone of Trance Master Productions joins eHealth Radio and the Hypnosis Information Channel. Mr Cerbone is known as "The Fastest Hypnotist Alive" for dropping strangers into hypnotic trance in split-seconds. Can most people be Hypnotized and what are some prevalent misconceptions? How and when did you get involved in Hypnosis? What kind of Work do you do as a Hypnotist and what have you produced in your work? What new breakthroughs are there in the Profession? What is Hypnosis used for and how can it help people live better? Can you show us an easy to learn technique our audience can use to make an improvement Hypnotically? From Trance Master Productions comes World Famous Hypnotist John "The Trance-Master" Cerbone who has hypnotized over120,000 people, dropped strangers into deep hypnotic trance in split-seconds,thereby earning recognition from his peers as The Fastest HypnotistAlive. John's performed in Europe,UK, Universities all over theUSA, and in clubs in NYC, Atlanta, and Las Vegas. He's appeared on MTV, Fox News, and on EastCoast & European radio stations. John is an Internationallyknown bestselling Author of books "Hypnotic Scripts that Work"[volumes 1 & 2]. 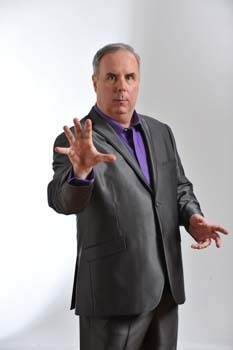 John's specialized Hypnosis instructional CD's will debut to Celebrities and Media at the Eco Emmys 2012. He's developed new methods of instant induction for stage, street, and clinical hypnosis called "Speed-Trance" He has taught this course about “Speed Trance “ in over 18 countries and most of the USA. On the clinical side of Hypnosis, John has helped thousands of people to permanently quit smoking, rest better, regulate and maintain body weight. John has helped to reduce stress, overcome fears, improve behaviors, recall, remember and perform more optimally in a great many areas, as well as laugh out loud at hypnosis comedy shows, and speed-hypnosis demonstrations. John's credits include Fortune 500 companies/organizations worldwide for effective programs that he has created specifically for their usage. Dr. Oliver Kharraz, the Chief Operating Officer and co-founder of ZocDoc, a service that helps patients find doctors, dentists, and other healthcare providers, and book appointments instantly joins eHealth Radio and the Health & Technology Channel. Tell me about what ZocDoc is and your role in the company. Why is this an important service for both the patient and the physician? Does this service cost anything for the patient to use? What type of healthcare providers are offered on this site? How does this service differ from other doctor search sites, like the ones listed by insurance companies? This is certainly a phenominal service for both the patient and the doctors office....is this service available nationwide? 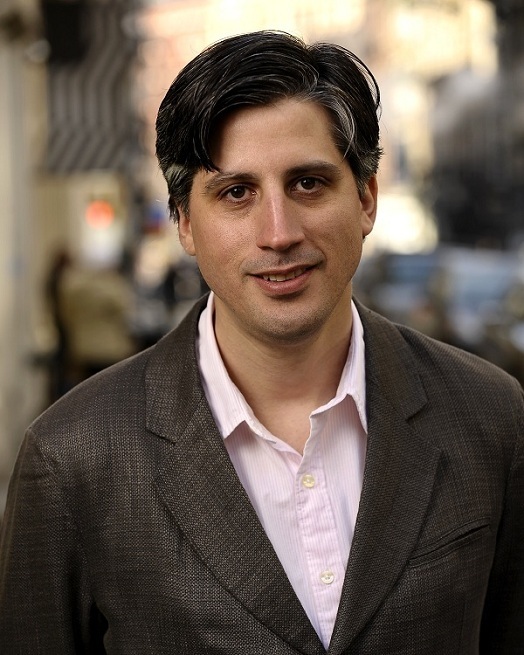 Oliver Kharraz, MD, is Chief Operating Officer and founder of ZocDoc. Dr. Kharraz is the most recent doctor in a 300-year family tradition. Over the course of his wide-ranging career, Dr. Kharraz has accrued comprehensive experience effecting change and building efficiency in large scale healthcare organizations using information technology. Prior to ZocDoc, Dr. Kharraz was an Associate Principal at the global management consulting firm McKinsey & Company. During his seven-year tenure at McKinsey & Co., Dr. Kharraz developed and implemented new patient utilization models for the national health services of a number of governments and major hospital chains. In 1994, Dr. Kharraz built and sold his first business – a forerunner of early internet software. He later became a resident doctor at the clinic of Ludwig Maximilian University in Munich, where he earned an MD and a Doctorate in Neuroscience. Dr. Kharraz also has a Masters Degree in Philosophy from the Jesuit College of Philosophy in Munich. Born in Germany, Dr. Kharraz immigrated to the U.S. during his work for McKinsey & Co., where he met future ZocDoc founder and CEO Cyrus Massoumi. He currently resides in Brooklyn, NY, with his wife and their twin daughters. Sylvia Nasser, the founder of The Fit Fem Studio, a premiere source to female only health and fitness joins eHealth Radio and the Health & Fitness Channel. The Fit Fem Studio, offers in home personal training as well as an array of group fitness classes on Long Island. What would you say to a woman who wants to get fit and start working out, but she is intimidated, does not know where to start or that her goals are unattainable? How does a woman who has never been physically active begin? Your mantra is that The Fit Fem keeps the fun in fitness. How do you do that? In addition to being a trainer, you are a holistic health coach, how do you incorporate that practice in your training? Do you prefer any typical type of training and if so which one? 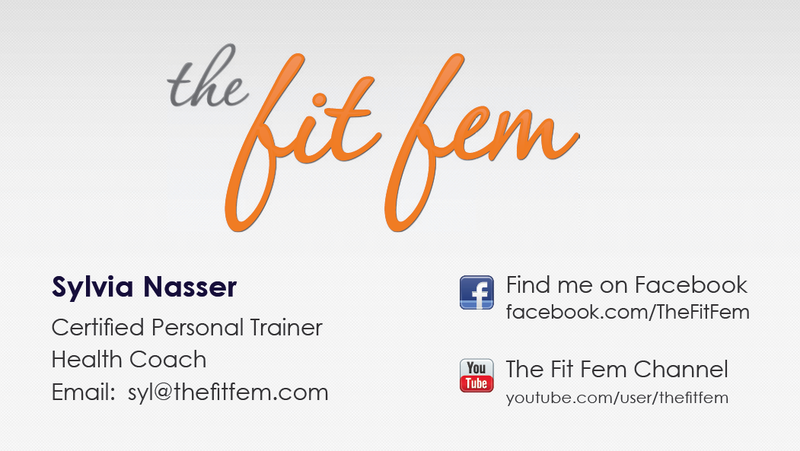 Sylvia Nasser is the founder of The Fit Fem Studio, a premiere source to female only health and fitness. She is a certified personal trainer and fitness instructor through the Aerobics and Fitness Association of America and a certified Holistic Health Coach, accredited through Purchase College, at the State University of New York, as well as The American Association of Drugless Practitioners. Her business, The Fit Fem Studio, offers in home personal training as well as an array of group fitness classes on Long Island. Along with teaching and personal training, Nasser has created a fitness and nutrition program, which is being sold as an eBook called "Going to Miami Jumpstart Weightloss Program." She was also featured as a expert on eliminating love handles on Everyday Health.